What lessons might the financial sector learn from Darwin&apos;s theory of evolution? Deputy Comptroller for Capital and Regulatory Policy, Office of the Comptroller of the Currency. Charles Taylor became Deputy Comptroller for Capital and Regulatory Policy in September 2011 where he leads a team charged with implementing Basel III and related aspects of the Dodd Frank Act. He represents the Office of Comptroller of the Currency on the Basel Committee. 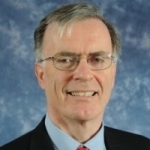 Over the past thirty years, he has held a number of national and international positions dealing with public policy and private practice in the financial services industry, including head of operational risk at the Risk Management Association where he helped launch ORX, the operational data exchange for large internationally active banks, and as Executive Director of the Group of Thirty, where he was instrumental in their influential study on derivatives “Derivatives: Practices and Principles.” Most recently, he was Director the Financial Reform Project at The Pew Charitable Trusts where he led an effort in support of reform of the US financial regulatory system that contributed to what eventually became the Dodd-Frank Act of 2010. He is an innovative thinker as well as a regulatory practitioner and has published widely, including papers on capital standards for banks, stress testing and macro-prudential regulation. Mr. Taylor grew up in London, moved to the United States in the 1973 to work for the World Bank and became a US citizen in 1984. He has degrees in mathematics and economics from Cambridge and Oxford in the United Kingdom and an MBA from Wharton School at the University of Pennsylvania in the United States. He is a fellow of the Financial Institutions Center at the University of Pennsylvania. He is married with three children and lives in Washington DC. Thank you to Michael and thanks also to the Gresham College Council and to the City of London Corporation for this invitation to speak to you tonight. It is a great honor. As Michael mentioned, a year ago I joined the OCC and for the first time in my career, I am a government employee. This means that, when I speak, I have to give a disclaimer – that the thoughts I share with you tonight do not necessarily reflect United States or OCC policy. I want to use my allotted time to discuss evolution and the financial system. My thesis for the evening is that Darwin’s theory describes the financial system very well and that fact has far-reaching consequences for how we think about regulatory policy – including, of course, what we should do about derivatives. Darwin thought of evolution as the process of reproduction, mutation and selection. Local environments differed and the adaptation of creatures over time produced different species. He understood that mutation took place during reproduction. But I don’t think that is of the essence. Any mechanism of change that is subject to selection will do. Fundamentally, evolution is an algorithm for changing populations that works when the environment is changing and resources are limited. It happens locally. There is some local process for creating new population members. Variation is also local. That variation is random and usually slight, but sometimes it is dramatic. It can occur among new entrants only as Darwin thought or old population members can adapt, which was an idea that the naturalist Jean Baptiste Lamarck had about fifty years before Darwin wrote “the Origin of Species.” And then there must be local selection. This fundamental characterization of evolution is powerful. For any population where change is local, there is limited variation and there is selection, and the environment is changing and resource-constrained, many things can be explained. We can explain the emergence of diversity and specialization; cooperation and competition as survival strategies; co-evolution between specialists; networks of interdependence; and the progressive development of complexity. Now, it is not hard to see that there are populations in the financial system that evolve in this fundamental sense. Consider the population of financial institutions. The technological, social and economic environment is always changing. Resources -- people, funds and market access – are limited. Change is often local – innovations are usually made within individual organizations and in response to very particular conditions that may not be local in a geographic sense but are usually local in the sense of pertaining to a particular market or organizational need. And, at least when governments don’t intervene, there is selection. Evolution is at work when financial firms innovate and adapt on the run. And it is at work firms do not adapt and then fail. You might quibble that innovation is not random but is purposeful. I hope that’s true. But the process of innovation is itself a combination of a spawning of ideas and then a testing of them. The idea generation stage is often close to being random. Then the testing stage is indeed a process of selection – either actual selection by the market or selection by layers of management trying to anticipate what the judgment of the market will be. Evolution survives a pretty good description of what happens to financial institutions over time. Mind you, institutions are not the only population in the financial system that fundamentally evolves. So too do processes, products and services, and trading, portfolio and business strategies. You may remember a famous book called “The Selfish Gene” by Richard Dawkins. His thesis was that genes in the natural world are the ones that are really locked in a battle for survival and the organisms of which they are a part are merely the platform from which they compete. You can think of trading strategies or products “using” institutions in a similar way. There are aspects of evolution in financial system that we should welcome. It delivers variety and choice. From diversity can come stability in the face of exogenous shocks and diversity of strategies can mute herd reactions. From adaptation comes innovation, relevance to changing needs, and value to the many customers of the financial system in the real economy. And, if the alternative is central planning as a way of accommodating social, economic and technological change, I would take evolution every time. However, there are other aspects of evolution that are less benign. While diversity may enhance stability in many situations, ecologies do collapse from time to time. In evolution, equilibrium is punctuated. Highly networked and complex ecologies can grow especially vulnerable to collapse because evolution can drain out adaptability during periods of quietude in favor of efficiency. From the public policy point of view, we want the financial system to be efficient, fair and stable. Evolution may deliver efficiency as well as or better than any other change algorithm, but it needs constraining if it is to be reasonably fair and stable. From an evolutionary perspective, shepherding evolution away from unfairness and instability is the purpose of financial regulation. Let me now turn from theory to practice and consider six ways in which the theory of evolution could be relevant for policy – starting with over-the-counter derivatives. As all of you know I am sure, these are contracts between firms that are tailored to very specific risks. Since the 1970s, they have blossomed and today they continue to be one of the most adaptable frontiers of finance, because the idea of a two-way contingent contract to make payment is an extraordinarily versatile risk transfer mechanism. As our understanding of risks evolve, I am sure we will need new OTC derivatives to manage them. From an evolutionary viewpoint then, the current reforms aimed at encouraging the movement of derivatives to CCPs and registries looks good. They leave the innovation frontier untouched. They reduce the complexity of the network of counterparty relationship between financial institutions – leaning against the natural tendency of evolutionary systems to get more complex over time. They increase transparency and reduce uncertainty – which should help particularly in times of insipient instability – times of stress. So fairness and stability should be served without diminishing diversity and efficient innovation at the margin. As an example of a refinement of established wisdom, I would offer up the thought that some rate of failure of financial institutions can be a good thing. Evolving populations need turnover to stay fit and healthy. The more traditional notion is that Schumpeterian cycles of creative destruction are inevitable. But these can be synchronized and disruptive in the financial sector. Evolution would suggest that, for long term and general stability, we should like to see turnover that involves an institution or two disappearing with some regularity. The established wisdom would say, some institutions failing is inevitable. The evolutionary perspective is that some institutions failing is desirable. The implication is “no failures and no losses” is an inappropriate standard for regulators. Zero losses or failures may be an indication of too little risk-taking. There is a shift in this direction taking place, of course, as regulators almost everywhere have a new mandate to think about macro- as well as micro-prudential regulation, where the standard shifts from institutional to systemic stability. The tendency to hold regulators accountable for every failure and loss is counterproductive from an evolutionary perspective. My third example of policy relevance may be a bit more revolutionary It is that unthinking promulgation of best practice – even if it really is in some sense “best” – might sometimes be bad for the financial system. True, adopting “best practice” may improve the performance of many individual institutions. But if everyone adopts best practice in all things, a population will lose diversity. Carried to an extreme, herd behavior becomes more likely as does the danger that some change in general circumstances, that might have caused just one institution to fail, wipes out everyone. From an evolutionary perspective, best practice run rampant could be problematic. Average fitness is desirable in an evolving population. But minimum fitness isn’t in and of itself particularly important. Population members that are unfit tend to disappear so low fitness at the tails of a diverse population is a problem that tends to take care of itself. Consider capital levels for example. It is important to keep average levels of capital high to ensure general fitness among the population of banks through cycles and in the face of shocks. Minimum standards that are enforced can ensure this, but they may come at expense of some loss of diversity. A population of financial institutions that all chose to operate at the minimum – to optimize against regulatory requirements, say – may be more likely to suffer a crisis synchronously than one where there is a similarly higher average level of capital but more diversity of trade-offs between investments in risk management, risk appetite, business strategy and capital level. A fourth policy area where evolution can be illuminating is the current debate on principles, rules and complexity. Rules that are aimed at means, as opposed to principles that are about outcomes, run the risk of slowing down and sometimes stopping evolution. If they are well designed, detailed rules may work in the short run but, applied to a complex, adaptive system that is constantly evolving, they are unlikely to work well for long. Andy Haldane’s recent Jackson Hole speech called for a simpler approach to financial regulation of an increasingly complex system because simple forecasts and controls tend to work better in complex systems than complex forecasts and controls. My point here is that they can also be more enduring if that complex system is evolving. So, for example in consumer protection, the guiding principle should be: financial institutions should ensure as far as they can that customers understand the products that they buy. While the plethora of products out there serving consumers meet a wide and evolving array of needs, the test for consumer protection is, do customers understand them? That’s the desired outcome. It is not how long the product disclosure form is, or its type-face, or its layout. Those are the specifics of the inputs. Of course, disclosure is an important tool toward creating understanding. But as products change, as institutions and customers learn from experience, the regulatory principle has an enormous advantage over detailed rules -- it endures. Of course, emphasizing principles puts the onus on supervision, my fifth example of implications. Reforming the rules understandably took first place following the 2008 crisis, but by itself even the very best rulebook is not enough. Supervision is needed to interpret principles and ensure they are applied. But beyond that, it can focus on emerging risks and accommodate the diversity of circumstance and strategy that are desirable for the stability of an evolving population. Supervision issues are getting more attention nationally and internationally. In the US for example, the Fed is working out now how to use it 165 powers under Dodd Frank. Internationally, the FSB set up the supervisory intensity and effectiveness group two years ago which has been working on issues ranging from supervisory independence, resources and powers to the adequacy of various tools and techniques. And the Basel Committee has just completed a revision of the Basel Core Principles. I commend this volume to anyone interested in supervision. However, there is much more to do. Changing practices necessarily takes a good deal of time. People have to be recruited and trained. Budgets have to be modified and in some instances legislation has to be written and passed. We have to rededicate and redouble our efforts to spread sound practices. And we must do more to make supervision accountable and transparent. A last area where neoclassical and evolutionary theories agree is on the importance of incentives. Both theories expect individuals to engage in cost benefit analysis before they select a course of action. Both theories call for aligning incentives with good social outcomes – fairness, stability and efficiency, in the case of the financial sector. Against many other sorts of policy intervention, policies that address incentives have the advantage from an evolutionary point of view that, while institutional arrangements can change, incentives affect behavior in any conceivable future configuration of the system. Of course, there have been extensive official reviews of incentive compensation in the financial sector in wake at 2008 crisis. I would note however, that compensation practices are still a long way from one important historical norm – that of the partner in an old-fashioned investment bank, when a large share of his or her wealth was on the line for a long time. Regulators would not have to worry so much about succession planning in financial institutions, for example, if the current leadership knew that their successors were going to determine whether their grandchildren will be able to have a good education or not. In the future, traders and line managers would truly internalize risk management principles and practices if most of their total compensation was delayed and was contingent on future performance a good deal more that it is today. So I have been talking about the theory of evolution and its possible practical implications for policy. I think they are potentially quite profound. But we have a long way to go to develop those implications fully and to apply them to policy. Ideas have to be converted into proposals, those have to be discussed and agreed, data has to be collected, impact assessed, parameters estimated and transition periods designed. That is a long path to tread. At a practical level, we cannot wait to strengthen the financial system. It is four years since the height of the crisis. The reforms underway address many issues that are important and urgent from any theoretical perspective. Capital had to rise. Transparency had to improve. Derivatives needed taming. Consumers needed more protection. Orderly resolution needed planning. My point is, we must sustain our efforts to implement reform. But at the same time, we should be open to exploring new theoretical perspectives, just as we should be alert to valid criticism from industry, academics and the press. In an endeavor as far-reaching and protracted as the current reform effort inevitably is, it behooves the regulatory community to consider every argument on its merits. This includes thinking critically about the foundations underlying our accretive approach to developing financial regulation. We also need to start to monitor complexity and diversity. There are good one-off studies of complexity but as yet not much on diversity. Monitoring remains a way off. More generally, we need to sharpen our understanding of this complex dynamic system. The Office of Financial Research in the US is still at an early stage of development still and there is ongoing economic research in many regulators around the world. These efforts should take the evolutionary perspective into account. So we face the difficult task of moving forward on two fronts at once – maintaining reform momentum while we embark on a critical examination of what we have wrought. I hope I have succeeded this evening in encouraging you to think that Darwin’s perspective can help.